At our house, we don’t watch a lot of TV but we do listen to a lot of music!! I’ve compiled a list of our favorite music albums for kids below for your listening pleasure! Most of these I love as much as the kids. I’ll continually add to and update this list, so be sure to save it for future reference! As always, I recommend you listen to these yourself first before playing them for your children. One of our favorites — Home is an Island — does have one or two words that I ask my children to never sing/repeat, but that is one of our most loved albums. The singers are from Ocracoke, an island off the coast of North Carolina, and we were blessed to hear them sing at a concert there right after one of my children had been born. Sundae Horn sang “Home is an Island” and it moved me to tears. Not subtle ones, but the big, fat run down your cheeks kind. We bought their CD and I cried the next five times we played the song in the car. While it no longer makes me cry, it is still one of the most moving songs I know. Definitely worth checking out. My kids also love the fox song a lot from that album!! What are some of your favorite music albums for kids? We love the Putumayo for Kids, our favorites are Animal Playground and French Playground. Jack Johnson’s Curious George CD is awesome! Great kid’s music that won’t drive you crazy. Great list! 🙂 Another one we love is Lisa Loeb and Elizabeth Mitchell’s children’s album Catch the Moon. Elizabeth Mitchell has a few other good ones too but Catch the Moon is our favorite. There are also several others by They Might Be Giants that we like. Thanks for posting! Our favorite is Here Comes Science. I love “No!” but “Here Come the 123’s” is good too. “Here Comes Science” is good for the most part, but it does talk about Evolution quite a bit, and seeing as you have “Scripture Lullabies” on your list, I am thinking you might not appreciate that. Our library had a bunch of TMBG cd’s though, so maybe you could check them out there before you buy! My kids LOVE the Imagination Movers. We are fans of the new album Uke Tunes by With Lions (you can hear samples on iTunes). My favorites are Skip to my Uke and Elia’s Anthem. 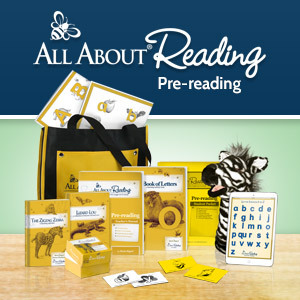 I’m an elementary Music teacher and I LOVE using Party like a Preschooler by Go Fish. Takes songs we already know and puts them to a new beat. When you have to listen to children’s music as much as I do for work and then at home, I need something that will entertain me too. No one has mentioned Raffi yet?! My son loves the Baby Beluga album. Oh and we took our toddler to “Music Together” classes in our area and she loved it. Not to mention I like the songs and find myself singing them to her even when I don’t have the cd on. Great list! We also like Milkshake. When the baby is napping we turn on Pandora’s Rockabye ‘s Baby station. I teach preschool music and enjoyed teaching the children music from Sound of Music. Also, CD’s with Broadway tunes are great especially the song Happy Talk from South Pacicfic.